Heat a griddle or tava and dry roast cumin seeds until brown and give a distinctive aroma of roasting. Put all ingredients, except ice, in a liquidizer and give it a quick whiz. 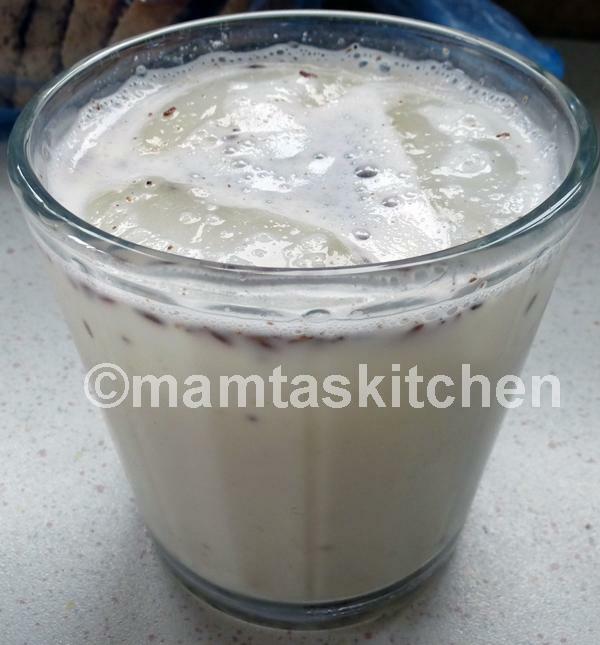 Place 2-3 ice cubes in each glass and pour lassi over it. *Instead of adding dry roasted seeds, you can temper the maththa with 1/2 tsp. cumin seeds crackled in a teaspoon of hot oil. If cultured buttermilk is available, it can be used to replace yoghurt and water. Originally, this drink was always made from low fat cultured butter milk.